Ireland is a common law jurisdiction, and the law governing insurance disputes is derived from statute and case law. There has been a divergence between Irish and UK insurance law in many areas since the implementation of the UK Insurance Act 2015. However, the Consumer Insurance Contracts Bill 2017 contains proposals that, if enacted, will re-align Irish and UK insurance legislation in a number of areas including warranties and the pre-contractual duty of good faith. Litigation is still the most consistent avenue for pursuing insurance disputes in Ireland, but in recent years there has been an increase in the use of alternative dispute resolution mechanisms such as mediation and arbitration. This is reflected by the introduction of the Mediation Act 2017, which requires solicitors to advise their clients of the availability of mediation and entitles courts to stay proceedings to encourage the parties to mediate. In recent years there has been an increase in insurance regulation and consumer protection measures as reflected in the introduction of the Consumer Protection Code 2012, the Financial Services and Pensions Ombudsman Act 2018, and the implementation of the Insurance Distribution Directive in October 2018. There is also an increased use of technology in the insurance industry, as well as by insureds, which presents opportunities and challenges for insurers and insureds. We expect to see an increase in 2019 of Irish companies either taking out cyber cover or increasing the limits of their existing cover, and related coverage disputes. In the next few years, we also anticipate litigation from insureds challenging the claims decisions made by automated claims processing systems, and regarding the interpretation of the specific GDPR Articles that confer rights on individuals in relation to automated decision making. The Insurance (Amendment) Act 2018, which came into force in July 2018, amends and extends the law in Ireland relating to insolvent insurers. Finally, as the likelihood of a 'no-deal' or 'hard' Brexit mounts, it is anticipated that the amount of insurance activity in Ireland will continue to rise. Ireland is a common law jurisdiction, and the law in relation to insurance disputes is primarily governed by common law principles, the origins of which can be found in case law. The Marine Insurance Act 1906 is the most recent codification of the general principles of insurance law applicable in Ireland. There is no Irish equivalent of the UK Insurance Act 2015, and since its introduction there has been a divergence between the United Kingdom and Ireland in certain areas. However, the Consumer Insurance Contracts Bill 2017 seeks to make a number of reforms to the area of consumer insurance law (discussed below), which are in line with the UK Insurance Act 2015. In general terms, insurers retain significant freedom of contract; however, this has been curtailed in recent years by Ireland's enactment of legislation to comply with EU law. In particular, consumer protection law has undergone a number of changes as a result of the Unfair Terms in Consumer Contracts Directive 1993/13/EC and the Distance Marketing of Financial Services Directive 2002/65/EC. Insurers must take care to comply with the Central Bank of Ireland Consumer Protection Code 2012 (CPC2012) and the Consumer Protection Act 2007 when dealing with a consumer. The term 'consumer' is defined quite broadly under CPC2012, as including individuals and small businesses with a turnover of less than €3 million (provided that these persons are not a member of a group having a combined turnover greater than €3 million). Insurers must also ensure that insurance contracts are compliant with the terms of the Sale of Goods and Supply of Services Act 1980. A number of forms of insurance are compulsory under statute in Ireland, including third-party motor insurance, professional indemnity cover for insurance and reinsurance intermediaries, and professional indemnity cover for certain other professionals (e.g., lawyers and medical practitioners). Save for the changes to Irish law to transpose EU legislation, there have been very few legislative amendments in insurance law in recent years. The most relevant amendments are set out below. On 27 June 2018, the Insurance Distribution Directive (Recast) 2016/97 (IDD) was transposed into Irish law by the European Union (Insurance Distribution) Regulations 2018 (the IDD Regulations). The IDD replaces the Insurance Mediation Directive (2002/91/EC) (IMD), and the IDD Regulations revoke the European Communities (Insurance Mediation) Regulations 2005, which transposed the IMD into Irish law. However, following requests from the European Parliament and Member States for a postponement of the application date, the European Commission decided to push back the application date of the IDD to 1 October 2018. The IDD creates a minimum legislative framework for the distribution of insurance and reinsurance products within the EU and aims to facilitate market integration and enhance consumer protection. Of particular note is the fact that the IDD aims to strengthen consumer protection for consumers by ensuring that insurance distributors act honestly, fairly and professionally and in accordance with the best interests of the customer. The IDD introduces strict requirements on remuneration disclosure and in relation to the insurance contract to the consumer. Further, insurance distributors may not incentivise or remunerate their employees in a manner that would conflict with their duty to act in the consumer's best interests. Insurance undertakings and intermediaries that manufacture any insurance product for sale to customers are required to implement product oversight and governance procedures before distributing or marketing an insurance product to customers. A target market must be identified for each product to ensure that the relevant risks to that target are identified, assessed and regularly reviewed. Insurance undertakings are also required to ensure that the relevant personnel in designing insurance products possess the necessary skills. The Insurance (Amendment) Act 2018, which came into force in July 2018, amends and extends the law in Ireland relating to insolvent insurers. The Act establishes the Motor Insurers Insolvency Compensation Fund and prescribes a rate of contribution towards that fund by insurers, currently set at 2 per cent contribution of gross written motor premiums. The Consumer Insurance Contracts Bill 2017 (the Bill), seeks to make a number of reforms to the area of consumer insurance law. The Bill is based on recommendations contained in a report by the Law Reform Commission in its report of Consumer Insurance Contracts 2015. The Bill will apply to consumer insurance contracts only. One of the most significant reforms contained in the Bill is the recommendation that the existing pre-contractual duty of good faith be abolished and replaced with a statutory duty to answer carefully and honestly specific questions posed by an insurer that identify the material risks and relevant information actually relied on by the insurer. The Bill also proposes the abolition of the concept of warranties in insurance contracts and their replacement with suspensive conditions, that is, on breach of the condition, the insurer's liability is suspended for the duration of the breach, but if the breach has been remedied by the time that a loss has occurred, the insurer must (in the absence of any other disclosure) pay any claim made. Finally, the Bill introduces proportionate remedies where a consumer's non-disclosure, misrepresentation or other breach of contract is innocent or a result of negligence and will allow the insured to claim damages for late payment of claims by insurers. There is currently no clear timeline for implementation of the Bill. The Financial Services and Pensions Ombudsman Act 2017 (the FSPO Act) extends the limitation period for customers to bring a complaint against financial services providers, including insurers, regarding long-term financial services to either: (1) six years from the date of the conduct giving rise to the complaint, (2) three years from the date on which the person making the complaint first became or ought to have become aware of that act or conduct, or (3) such longer period as may be permitted by the Financial Services and Pensions Ombudsman (FSPO). A long-term financial service means a financial service with a fixed term of five years and one month or more, or life assurance. The FSPO Act caps damages at €26,000 per annum where the subject of the complaint is an annuity, and €250,000 in respect of all other complaints. The Civil Liability Amendment Act 2017 came into effect on 1 October 2018.2 The Act introduces a legislative basis for the courts to make periodic payment orders in catastrophic injury cases, and is of importance where insurers, or their insured, are meeting awards of damages. At present, damages are awarded as a lump sum at the conclusion of the action, however, periodic payment orders allow a plaintiff to have their compensation paid in a series of index-linked payments, over the course of their life, limiting the possibility that they are under-compensated. The Mediation Act 2017 imposes an obligation on legal practitioners to advise their clients to consider mediation before commencing court proceedings, and gives the courts the power to suspend proceedings to facilitate mediation. In addition, under Section 16 of the Act, a party may bring a motion seeking for the court to invite the parties to mediate. the principle of subrogation applies, where appropriate. One of the most recognisable aspects of insurance law is the concept of insurable interest. The seminal case of Lucena v. Crauford5 held that an insurable interest was a 'right in the property, or a right derivable out of some contract about the property which in either case may be lost upon some contingency affecting the possession or enjoyment of the property'. While this definition has been widened in recent years,6 this remains the basic definition. This means that if a policyholder has no such insurable interest, then there is no loss for an insurer to indemnify. The Marine Insurance Act only addresses insurable interest in relation to marine insurance. The Life Assurance Act 1774, which was applied to Ireland by the Life Insurance (Ireland) Act 1866, brought the necessity of insurable interest into life assurance policies. In the United Kingdom there has been much debate surrounding the ever-changing nature of insurable interest, especially between the 'legal interest' test and the wider 'factual expectation' test. In PJ Carrigan Ltd and Carrigan v. Norwich Union Fire Society Ltd,8 the Irish High Court expressed its preference for the wider 'factual expectation' test. Almost identically to UK law, Irish insurance law has posited that any insurance contract that resembles a wager or gambling is contrary to public policy and should therefore be illegal. It is worth noting that Section 5 of the Consumer Insurance Contracts Bill 2017 (which is still draft legislation) provides that an insurer cannot reject an insurance contract with a consumer that would otherwise be valid on the grounds that the insured does not have an insurable interest. Insurers are entitled to bring subrogated claims on behalf of their insured in cases where the insurer has paid out fully on a claim and seeks to claim these costs back from the true wrongdoer. Parties to Irish insurance contracts are subject to a duty of utmost good faith, which imposes a duty on the insured to disclose all material facts before inception or renewal.9 A material fact is one that would influence the judgment of a prudent underwriter in deciding whether to underwrite the contract, or the terms on which it might do so (e.g., the premium). The duty goes beyond a duty to answer questions on a proposal form correctly, however, the Irish courts have determined the questions on the proposal form will inform the duty. The remedy for breach is avoidance. Misrepresentation is closely related, and attracts the same remedy. Misrepresentations can be fraudulent, reckless or innocent. The common law position is that a misrepresentation is fraudulent if it is made with knowledge of its falsity, without belief it was true, or with reckless disregard as to whether it was true or false. In practice, many Irish insurance policies contain 'innocent non-disclosure' clauses that prevent the insurer from avoiding the policy on the basis of innocent non-disclosure or innocent misrepresentation. The Consumer Insurance Contracts Bill 2017 proposes replacing the duty of disclosure with a duty to answer specific questions honestly and with reasonable care. There would then be no duty to provide additional information on renewal unless specifically requested by the insurer. The Bill proposes that for innocent or negligent non-disclosure or misrepresentation, the principal remedy should be to adjust the payment of the claim taking account of the carelessness of the insured and whether the breach in question affected the risk. The Bill retains avoidance as a remedy for fraudulent breaches on public policy grounds. In Ireland, the jurisdiction in which court proceedings are brought will depend on the monetary value of the claim. The District Court deals with claims up to a monetary value of €15,000, the Circuit Court deals with claims with a monetary value up to €75,000 (€60,000 for personal injury cases) and claims in excess of this are heard by the High Court. The High Court has an unlimited monetary jurisdiction. The High Court also has a specialist division, the Commercial Court, that deals exclusively with commercial disputes. Insurance and reinsurance disputes can be heard in the Commercial Court if the monetary value of the claim or counterclaim exceeds €1 million and the Court considers that the dispute is inherently commercial in nature. Insurance disputes before the courts in Ireland are heard by a single judge and there is no jury. Proceedings in the Commercial Court normally move at a much quicker pace as proceedings are case managed. Depending on the time required for the hearing, the length of time from entry to the Commercial Court list to hearing generally takes between one week and six months. Entry to the list is at the discretion of the judge and entry may be refused if there has been any delay. A strong emphasis is placed on alternative dispute resolution and the Commercial Court Rules provide for up to a four-week stay of proceedings to allow the parties to consider mediation. A new court of appeal was established in 2014 to deal with appeals from the High Court. The court of appeal hears appeals from the High Court except when the Supreme Court believes a case is of such public importance that it should go directly to the highest court in the state. 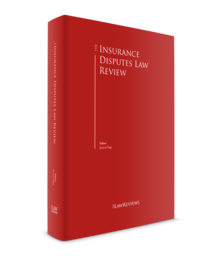 Insurance disputes may also be dealt with by way of alternative dispute resolution (ADR) and it is common for insurance contracts to require disputes to be determined by ADR. 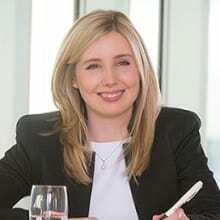 Mediation and arbitration are the most common forms of ADR used in Ireland. Since 1 January 2018, the Mediation Act 2017 has required solicitors in Ireland to advise their clients of the merits of mediation as an ADR mechanism before issuing proceedings in court. The Mediation Act also requires the solicitor to swear a statutory declaration confirming that they have advised their clients on the benefits of mediation. This declaration is in turn filed with the originating document in the relevant court office. Following the introduction of the Mediation Act, any court may adjourn legal proceedings on application by either party or of its own initiative, to allow the parties to engage in mediation. Failure by either party to engage in ADR following such a direction can result in the party being penalised in relation to costs. In Ireland, the law on arbitration is codified in the Arbitration Act 2010 (the 2010 Act), which incorporates the UNCITRAL Model Law on International Commercial Arbitration. The arbitrator's decision is binding on the parties and there is no means of appeal. Where parties have entered into a valid arbitration agreement the courts are obliged to stay proceedings. Ireland is a party to the New York Convention on the Recognition and Enforcement of Foreign Arbitral Awards 1958, allowing Irish arbitral awards to be enforced in any of the 157 countries party to the Convention. Any dispute that arises under any insurance or reinsurance contract that contains an arbitration clause must be referred for arbitration. However, there is an exception for consumers, who are not bound by an arbitration clause in an insurance policy where the claim is less than €5,000 and the relevant policy has not been individually negotiated. The High Court has powers to grant interim measures of protection and assistance in the taking of evidence, though most interim measures may now also be granted by the arbitral tribunal under the 2010 Act. Once an arbitrator is appointed and the parties agree to refer their dispute for the arbitrator's decision, then the jurisdiction for the dispute effectively passes from the court to the arbitrator. While arbitration will incur additional costs, such as the arbitrator's fees and venue hire, it has the benefit of confidentiality, which may be attractive to the parties to the dispute. The FSPO is the amalgamation of the Financial Services Ombudsman and the Pensions Ombudsman, pursuant to the Financial Services and Ombudsman Act 2017. This is an independent body established for the purposes of resolving disputes between consumers and insurance providers either informally through mediation or by way of formal investigation. The FSPO's decision is legally binding, with a right of appeal to the High Court. Artisan Glass Studio v. Liffey Trust Limited 10 concerned a claim of privilege by the defendants in respect of two reports prepared by consulting engineers returned by their insurer's loss adjuster following a fire at a warehouse. The plaintiff was the occupier of another unit in the building and claimed to have sustained property damage as a result of the fire. In his judgment in May 2018, Mr Justice McDonald set out the factors that must be considered when determining whether litigation privilege applies as: (1) whether litigation was reasonably apprehended at the time the documents were brought into being; (2) whether the documents were brought into being for the purpose of that litigation; (3) if they were created for more than one purpose, was the litigation the dominant purpose; and (4) whether the onus of proof is on the party claiming privilege. In this case, it was found that litigation was not the dominant purpose of the record of inspection (i.e., the first report prepared), as it was prepared equally as an inquiry by the insurance company as to its own insured, rather than solely for third-party claims. As a result, it was held not to be privileged. In the April 2018 decision of Bin Sun v. Jason Price,11 the High Court overruled the decision of the Master's Court and allowed an insurance company to be joined as co-defendant to proceedings involving the insured, despite objections by the plaintiff. The defendant, who was insured by Bump Insurance (Bump), was involved in a road traffic accident. Bump conducted an investigation that uncovered, among other things, that the occupants of the vehicles were known to each other, and refused to indemnify the defendant. Bump was concerned that if the plaintiff succeeded in the action, he would claim the award from Bump (under Section 76 of the Road Traffic Act 1961) and wanted to bring these matters to the attention of the Court. In granting Bump's appeal, Mr Justice Barrett summarised the 'exceptional circumstances' required to join a defendant to private inter partes proceedings where a plaintiff objects. These are that the would-be defendant (1) should have been joined as a defendant; (2) will, as a matter of probability, be necessary to allow the court effectively adjudicate the matter; (3) may have his or her proprietary or pecuniary rights affected, either legally or financially, by any order in the action; and (4) may be rendered liable to satisfy any judgment (directly or indirectly). Once any of these circumstances are present, the party may be joined, provided that the interests of justice are served by adding the would-be defendant, and it would serve the court's interest in seeing that litigation is properly conducted and its processes are operated in such a way that is just and fair and in the interest of the would-be party. In this case, the Court was satisfied that factors (3) and (4) were present, and allowed Bump to be joined to the proceedings. This decision provides useful clarity for insurers as to the circumstances in which an insurer can seek to be joined to proceedings, in particular to avoid a Section 76 liability arising. Section 62 of the Civil Liability Act 1961 allows a party wronged by an insured to claim directly from the insurer, but only where the insured (if an individual) is dead or bankrupt, or (if a company) wound up or dissolved. In Kennedy & Ors v. Casey t/a Casey & Co,12 a group of fishermen sought to join the insurers of their allegedly negligent solicitors to proceedings; however, the application was refused on the basis that the plaintiffs had no contractual relationship with the insurer. Section 62 was found not to apply in these circumstances, and the court held that the only scenario in which the plaintiffs would be entitled to claim against the insurers was if they obtained judgment against the solicitors in the first instance. Similarly, in the 2017 case of Shi v. Ernst and Young Ltd and RMC Leisure t/a Event Works,13 the plaintiff was not entitled to rely on the general principles of case law relating to Section 62, as the plaintiff had not specifically pleaded Section 62. This follows a chain of cases clarifying Section 62 in recent years. The Statute of Limitations 1957 prescribes the time limits applicable to proceedings under Irish law. These time limits run from the time the cause of action accrued except in cases of concealment, fraud or mistake, where the limitation periods may be extended. The nature of a particular insurance dispute will govern the applicable time limit. Generally, there is a six-year time limit to institute proceedings based in contract, from the date on which the cause of action accrued, unless otherwise provided in the contract. A 12-year limitation period operates for contracts executed as a deed. A six-year time limit applies to bring an action in tort, from the date on which the cause of action accrued. There are separate time limits for personal injuries actions. The recent decision of the Supreme Court in Brandley and WJB Developments Limited v. Deane t/a Hubert Deane & Associates and John Lohan t/a John Lohan Groundworks Contractors & Anor 14 has insurance implications for construction professionals as there is potential for claims being successfully brought against them outside the traditional six-year limitation period on the basis that the damage in question manifested at a later date. This may lead to an increase in litigation by plaintiffs who previously believed their claims were statute-barred. The case also highlights the necessity for sufficient run-off cover to be obtained. Brandley involved a claim for damages against an engineer and a builder for breach of contract and negligence arising from defective foundations. The High Court dismissed the claim on the basis that it was statute barred as the structural defects complained of occurred more than six years after the foundations were laid and the certifications issued. However, the Supreme Court upheld the Court of Appeal's finding that the point at which the damage occurred was when the cracks appeared in the building and thus the claim was not in fact statute barred. The Supreme Court concluded that the date of manifestation of the damage is the appropriate starting point in property damage claims and the Statute of Limitations 1957 should be construed accordingly. The Court found there was a distinction between a 'defect' and the subsequent damage it causes. Damage is manifest when it is capable of being discovered. Time runs from the manifestation of the damage rather than the underlying defect (and thus it is the subsequent physical damage caused by the latent defect, rather than the latent defect itself, which must be capable of discovery). Choice of forum, venue and applicable law clauses in an insurance contract are generally recognised and enforced. However, where the insured resides in an EU Member State, the Brussels I Regulation, Recast Brussels Regulation and Rome I Regulation may limit the application of these clauses. For judgments that fall under the Brussels I Regulation and the Lugano Convention, it is relatively straightforward to secure recognition and enforcement of foreign judgments, provided that the judgment is not within the recognised grounds for refusal. For judgments to be enforced at common law (i.e., not one subject to the Brussels Regime or the Lugano Convention), the courts have discretion whether to recognise such a foreign judgment. However, as a general principle, and on the basis of respect and comity between international courts, the approach of the Irish courts to proceedings seeking recognition and enforcement is generally positive, provided the judgment is for a definite sum, is final and conclusive, and has been given by a court of competent jurisdiction (albeit there are other criteria, by reference to which recognition and enforcement may be challenged). Ireland is seeing an increase in insurance regulatory litigation and enforcement, with the central bank investigating potential breaches of the Insurance Mediation Directive and the Consumer Protection Code 2012, and in respect of breaches of the IDD Regulations. Additionally, in 2017, the European Commission dawn raided the Irish insurance market and began an investigation into possible concerted practices between insurers and brokers in the commercial motor insurance industry in Ireland. The investigation is ongoing and has the potential to extend to other areas of insurance. In addition, recent legislative developments and judicial decisions (most notably Brandley v. Deane, as discussed above) may result in plaintiffs bringing actions that would previously have been considered to be statute barred. In the payment protection insurance (PPI) sphere, following the decision of the UK Supreme Court in Plevin v. Paragon Personal Finance Ltd,15 a further redress scheme in relation to PPI is under way in the United Kingdom. It is possible, particularly as a result of the changes to the limitation period for FSPO claims for long-term financial products, that there may be further litigation in relation to the sale of PPI in Ireland. Finally, the Supreme Court has called on the government to legislate for litigation funding in Ireland, in both Persona Digital 16 and Optimal SUS.17 While there is currently no discussion of Irish legislation in this area, the European Commission published recommendations in 2013 that all Member States adopt collective redress schemes, which allow for certain types of litigation funding. Once implemented, this is likely to give rise to an increase in litigation. The triggering of Article 50 by the UK government confirmed that the United Kingdom will leave the European Union in March 2019. Because of the uncertainty surrounding the United Kingdom's trading conditions with the EU post-Brexit, a number of financial services companies are establishing subsidiaries or even headquarters in one of the remaining EU27 Member States. Loss of access to the single market or EU passporting rights would be highly undesirable for these companies. Ireland, with its well-known prudential regulation, highly educated English-speaking workforce, common law jurisdiction (with a fast-track Commercial Court as discussed above) and its proximity to the United Kingdom is regarded as somewhat of a hub for the insurance industry. As the likelihood of a 'no-deal' or 'hard' Brexit mounts, it is anticipated that the amount of insurance work passing through this jurisdiction will continue to rise. Emerging technologies also present opportunities and challenges for insurers and professionals. The insurance industry is increasingly investing in new technologies and automation. There is likely to be litigation challenging the claims decisions made by automated claims processing systems and regarding the interpretation of the specific GDPR Articles that confer rights on individuals in relation to automated decision-making. The technology surrounding the use of drones is rapidly developing, and to mirror the emerging technology in this area, legislative reform is proposed. The (draft) Small Unmanned Aircraft (Drones) Bill 2017 proposes to place an obligation on commercial drone operators to have insurance in place, and imposes criminal liability for certain drone offences. It prohibits the use of a drone for surveillance, capturing images, videos, etc., where there is a reasonable expectation of privacy and without consent. There is currently no timeline for implementation. Cyberattacks are on the rise in Ireland. While cyber cover has been available for some time, it is still very much a new product for the Irish market. We expect to see an increase in 2019 for Irish companies either taking out cyber cover or increasing the limits of their existing cover, and related coverage disputes. 1 Sharon Daly and April McClements are partners, and Laura Pelly is a senior associate at Matheson. 2 Parts 1, 2 & 3. Part 4 came into effect on 3 July 2018. 6 Sharp and Roarer Investments Ltd v. Sphere Drake Insurance (The Moonacre)  2 Lloyd's Rep. 501, National Oilwell (UK) Ltd v. Davy Offshore Ltd  2 Lloyd's Rep 582 and Deepak Fertilisers & Petrochemicals Corp Ltd v. Davy McKee (London) Ltd  1 All E.R. (Comm.) 69. 7 Commercial Law Practitioner 1996, 3(4), 98-101. 9 The Consumer Insurance Contracts Bill 2017 proposes to abolish the duty of utmost good faith. 17 SPV Osus Ltd v. HSBC Institutional Trust Services (Ireland) Ltd  IESC 44.